What would you say if I told you there was an envelope out there that's tear-proof, water-resistant, and lightweight? That's right--you'd be speechless! Well that's what you get with JAM Paper's White Tyvek® Expansion Envelopes. These unique envelopes are have a fiberous, soft finish and are fun to touch! Tyvek® Expansion Envelopes are perfect if you need to secure multiple documents, letters, or anything else! Simply place your documents in the envelope and seal it up--then go worry free throughout your day knowing nothing can touch them! 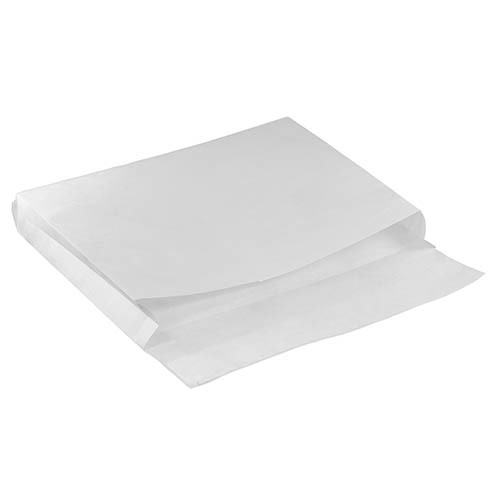 White Tyvek® Expansion Envelopes are available in many sizes, rangings from 4 1/2 x 9 1/2 with a 2 inch expansion to 12 x 15 with a 3 inch expansion. Sizes are available in both Booklet and Open End styles. Our booklet envelopes open on the long side while our open end envelopes open on the short side. All Tyvek® Expansion Envelopes are sold by the carton. Cartons range from 100 to 500 envelopes for all sizes!